Awwwwww, August — we love you! If you’re looking for a great beach, a lot to do and a place that purposefully embraces families, then Hampton Beach is for you. Hampton Beach, New Hampshire is a seaside village that boasts of one of the finest sandy beaches in New England. Located in the Town of Hampton, the beachside community has an extremely active tourism bureau that focuses on offering family friendly events for vacationers. Weekly fireworks, festivals and competitions and a full slate of free concerts are just some of things that make Hampton Beach an attractive destination for vacationers from New England, the Atlantic States and Canada. Fishing and site-seeing excursions, surfing, stand-up paddleboarding and various other water endeavors are all available. Some of the finest performers can be seen at the Casino Ballroom and great local bands play at various lounges and bars. Accommodations include many seaside hotels, motels and cottage and house rentals. Shops, arcades, restaurants and various other entertainments abound along Ocean Boulevard, which divides the Hampton Beach boardwalk and businesses from the beach. From ice cream to tattoos, from fortunetellers to fried dough and from fast food to fine cuisine, Hampton Beach has it all. 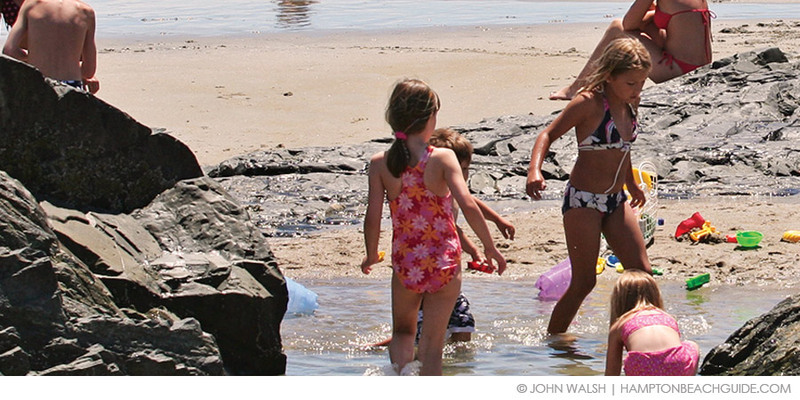 If you’re looking to have a great summer, it all starts at New Hampshire’s Hampton Beach. The must-read resource for those who want to take full advantage of Hampton Beach’s finest offerings.